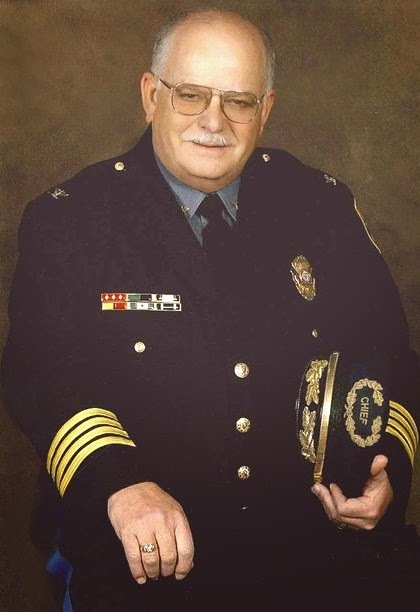 "Chief Herbert M. Soule, Chief of the Sugar Creek, MO Police Department, passed away from complications of an illness at the North Kansas City Hospital at 3:40 P.M. Friday, November 14, 2014. "Chief Soule served with the Sugar Creek Police Department for 48 years and was Chief since April, 2001." The staff of the Inter-City News offers condolences to the family, friends, and co-workers of Chief Soule, and to the citizens of Sugar Creek and Jackson County for the loss of this devoted public servant. Details on his memorial service will be upcoming.